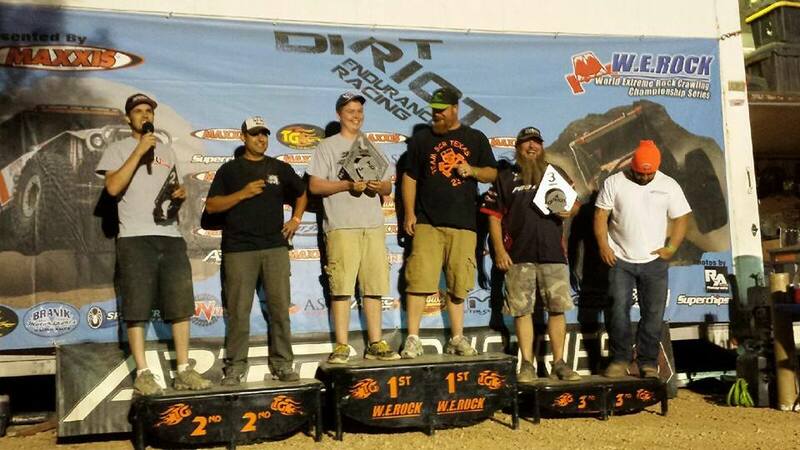 With Steering issues in the first two races of the season, and a catastrophic suspension failure in Cortez, Crawlorado Racing was looking to see the checkered flag and receive a Finisher pin in in the Dirt Riot National Rampage in Bridgeport, TX. With only a few weeks before the race Trevor Ritch made a last minute decision to get the #76 Rusty Mustard FJ40 back together and head to Texas. Our newest partner, RuffStuff Specialties had exactly what we needed to take care of weak links in the previous design. Pre-running the course on Friday afternoon was cut short with the rear pinion nut coming loose. We were able to fix it, but we were not able to see the entire track. Unfortunately Jay Allen was unable to make the Trip to Texas, so we found a temporary Co Driver (Jr Barraza) with only minutes to spare before the start of the race. Starting in fourth out of seven cars in the Trail Modified class, our goal was to take it easy the first lap and learn the course. The Race Started off great, we picked off all three cars in front of us quickly. The next lap we decided to keep pace because we believed we were in first position. Unfortunately we were running an extra section of course costing us about 1:30 each lap. In the process of making the longer loop, we had been passed without knowing it and were unable to catch the leader by the end of the race. This season was a great success, we were able to secure three second place trophies, and fourth place in the mountain series points race. We continue to improve our race team each race, and look forward to pushing harder next season! Please check us out on Facebook, Instagram and Twitter @crawlorado. Thank you to RuffStuff Specialties, Cruiser Outfitters, King Shocks, Raceline Wheels, and PSC Steering for all the help this season! 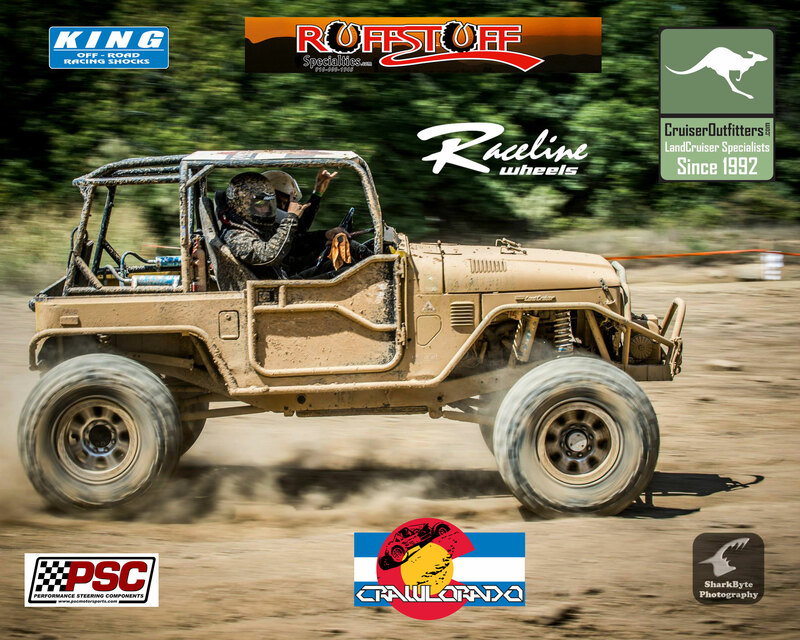 Crawlorado Racing is a Trail Class Racing Team From Colorado Springs, CO. We have been racing our 1976 Toyota Land Cruiser FJ40 since 2011, and Driver Trevor Ritch has been wheeling and modifying the truck since 2004. Visit our website www.crawlorado. com for more information and keeping up with us!